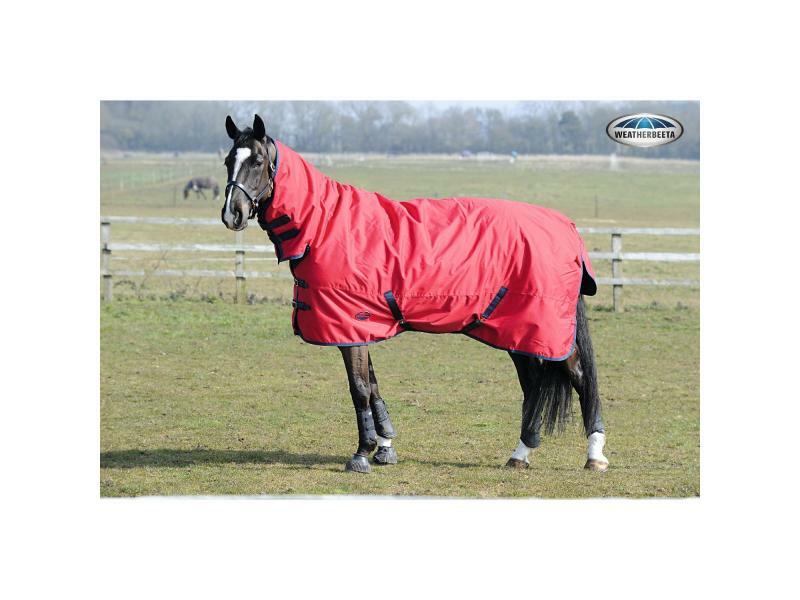 The WeatherBeeta Genero 1200D Combo Medium Turnout Rug provides waterproof protection for your horse over winter. 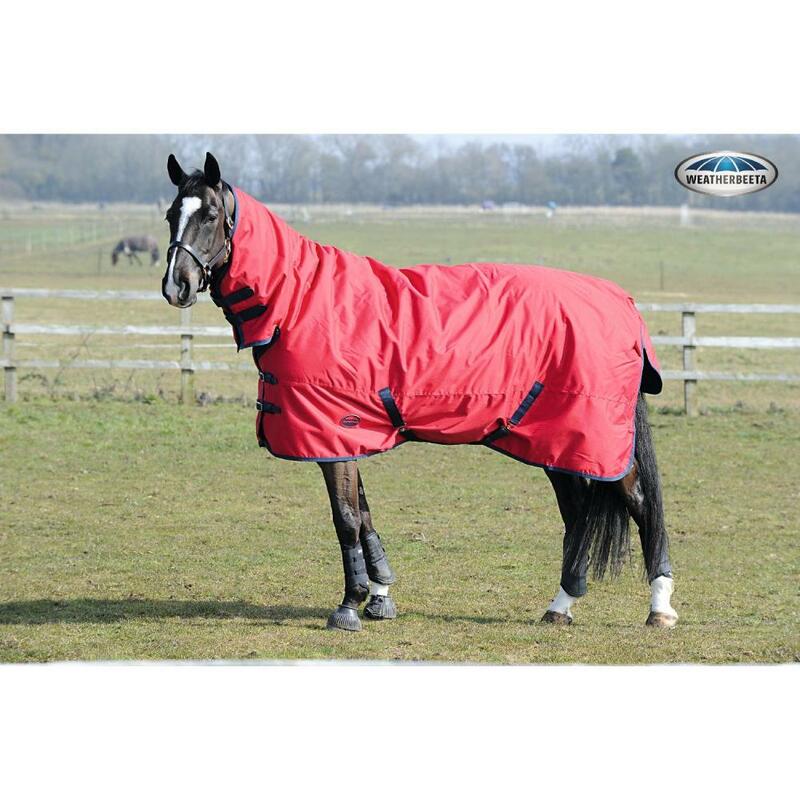 Made with a tough 1200 Denier outer shell, this medium weight turnout rug is breathable and has a 220g filling. The 210 Denier Polyester lining helps to keep their coat clean and tidy. Features include a protective tail flap and adjustable twin chest straps and leg straps. We are so confident you will love your WeatherBeeta rug, we offer a warranty on all of our WeatherBeeta Turnout Range. Listed below are the Terms & Conditions for the warranty. Anything not included on this list will be excluded. Outer shell fabric waterproofness, breathability and faulty fixtures and fittings (including workmanship). 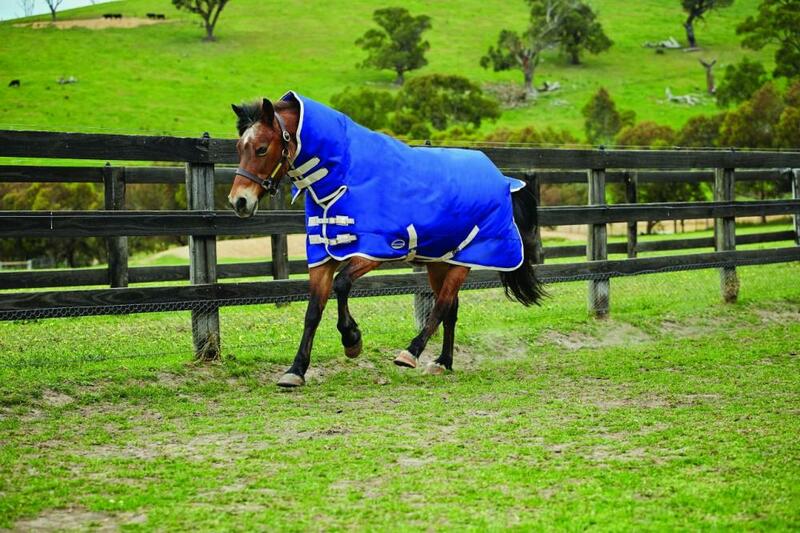 The warranty on a WeatherBeeta turnout rug and its components is subject to use under normal conditions. The warranty card should be retained by the purchaser, along with the original receipt as the retailer will require it should warranty work be required. Associated transport costs and all other costs incurred in the course of claiming on your warranty will be borne by you. 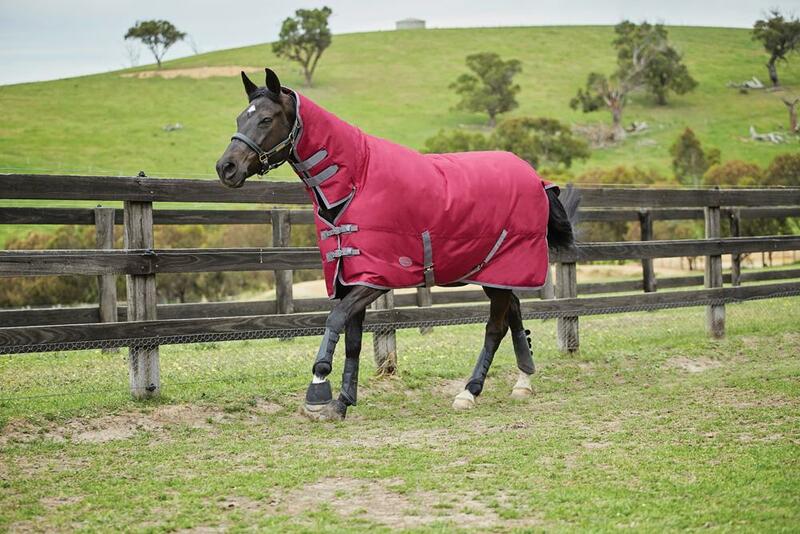 • The WeatherBeeta turnout warranty becomes effective from the date of purchase of your synthetic rug. • You must provide proof of purchase, the original purchase receipt and this warranty card. • A repair under the WeatherBeeta turnout rug warranty will not extend your WeatherBeeta guarantee period. 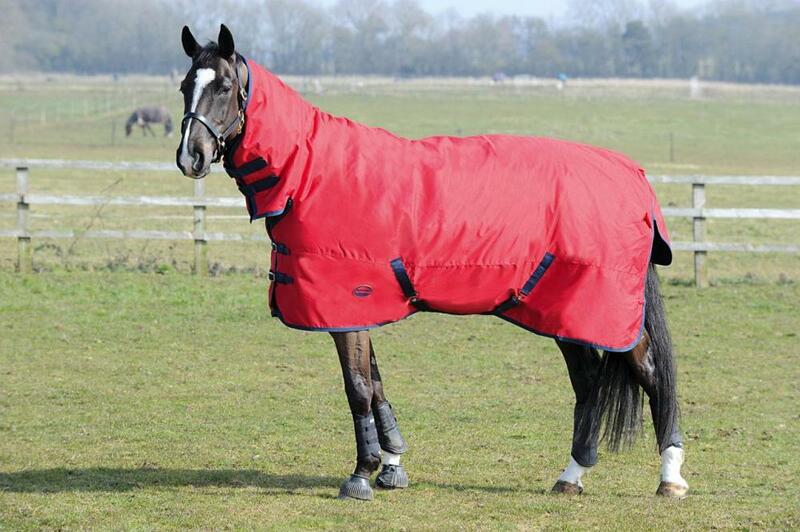 • The WeatherBeeta turnout rug warranty is processed through appointed WeatherBeeta rug retailers. What is covered under the WeatherBeeta warranty? WeatherBeeta guarantees the repair or replacement of your WeatherBeeta turnout rug (or part thereof) at no cost, if found to have faulty materials or workmanship within 3 years of the date of purchase. WeatherBeeta guarantees the repair or replacement of your WeatherBeeta turnout rug (or part thereof) at no cost, if found to have a fault in outer shell/fabric waterproofness or breathability of the outer fabric or faulty hardware o or workmanship on the fixtures and fittings within 3 years of the date of purchase. What is not covered under the WeatherBeeta warranty? 4 easy steps to make a claim under the WeatherBeeta warranty? 1. Contact the retailer from whom you purchased your turnout rug to discuss your concerns. 2. Take this card along with the original purchase receipt and the rug to the retailer from whom you purchased the rug. 3. The retailer will assist in assessing whether your rug has a defect covered under WeatherBeeta’s warranty. 4. The retailer will then liaise with WeatherBeeta in relation to the warranty claim (on your behalf). 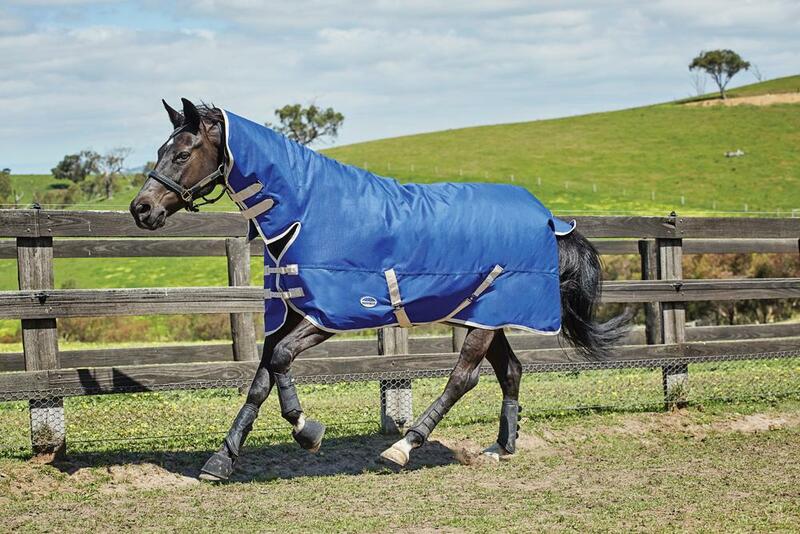 There are currently no questions for WeatherBeeta Genero 1200D Combo Medium Turnout Rug - be the first to ask one!